With a full house on the final hand of the tournament, Ventnor, New Jersey native Abraham Korotki captured the 2014 Borgata Spring Poker Open Championship on Friday at Borgata Hotel Casino & Spa. 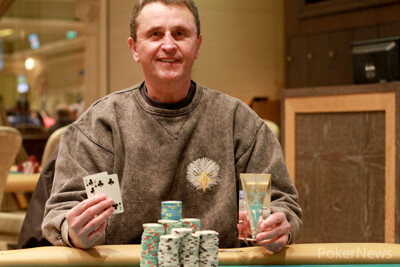 Korotki defeated Laurence Wolf heads up, winning $256,508 and the trophy. Korotki, who outlasted 414 entries, now has over $1 million in career live tournament earnings, and four victories at Borgata, including the 2009 Borgata Poker Open Ladies Event. According to him, only Will Failla (five) has more wins at Borgata than him. "I'm very happy to win this tournament," Korotki said after the victory. "This is the world's best casino, because players from all over the world come to play." Korotki plans to parlay his winning in the upcoming $15,000 buy-in World Poker Tour World Championship. 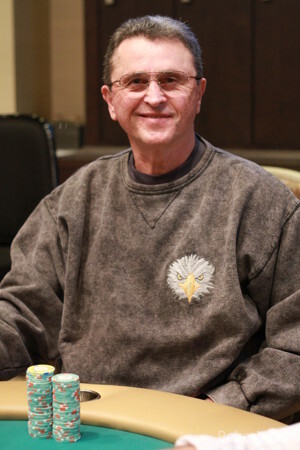 Wolf, who pocketed $148,083 for second place, nearly doubled his career live tournament earnings in the process. He too has had previous success at Borgata, winning a $500 buy-in event during the 2007 Borgata Winter Poker Open. 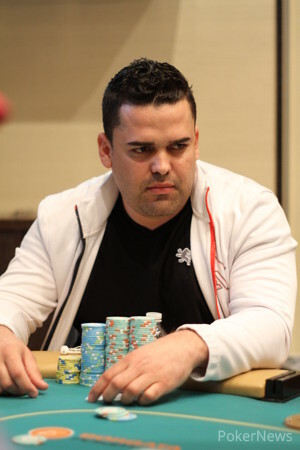 Despite started the final table last in chips with just over 11 big blinds, Robson Barbosa was able to climb the ladder and finish the event in third place. Barbosa won a race against Korotki on one of the first hands of the day, and never looked back from there, assuming the chip lead during five-handed play. 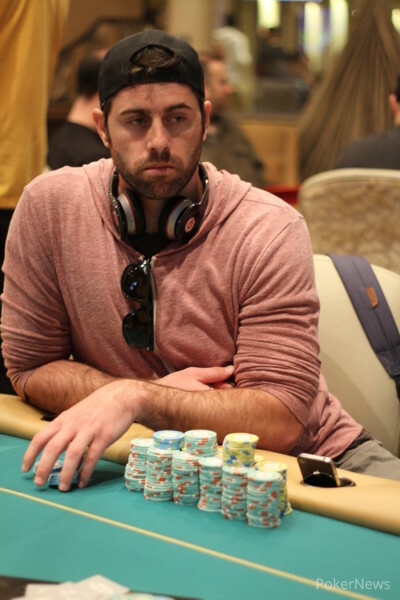 Chalie Hook entered the day with the largest stack at the final table, but hit a wall during the middle stages of play and ultimately fell in fourth place. He attempted a few unsuccessful bluffs, including one in a three-handed pot during Level 25 that left him with the shortest stack at the table. Also reaching the final table but ultimately falling short were Frank Toscano, Andy Spears, Jewook Oh, Paul Spitzberg, and Jake Toole, who all fell from ninth to fifth respectively. The 2014 Borgata Spring Poker Open rolls on throughout next weekend, and PokerNews will bring you continuous coverage of all of the main events, including the WPT World Championship! Abraham Korotki moved all in on the button, Laurence Wolf called, and the flop, turn, and river came . Korotki showed for a full house, fours full of sevens, and Wolf was eliminated in second place. On the first hand back from dinner break, Robson Barbosa raised to 2 million on the button, and Abraham Korotki moved all in from the big blind. Barbosa folded. The next hand, Laurence Wolf folded on the button, Korotki completed from the small blind, and Barbosa moved all in out of the big blind. Korotki called. The board came , Korotki showed , and Barbosa was eliminated. Abraham Korotki raised to 125,000 on the button, Robson Barbosa called in the small blind, and the flop came . Barbosa checked, Korotki continued for 155,000, and Barbosa check-raised to 355,000. 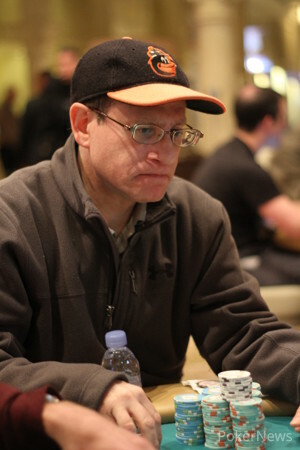 Abraham Korotki raised to 125,000 on the button, both Robson Barbosa and Laurence Wolf called, and the dealer spread . Barbosa checked, Wolf fired out 190,000, and only Barbosa called. The turn was the , both players checked, and the river was the . Barbosa led out for 250,000, Wolf tank-called, and Barbosa motioned that Wolf was best. Wolf showed for a pair of fives, and Barbosa mucked. Abraham Korotki raised to 105,000 on the button, both Robson Barbosa and Laurence Wolf called, and the flop came . "That's a great three-card poker hand," Wolf chuckled. Barbosa checked, Wolf checked, and Korotki tossed out another 105,000. Only Barbosa called. The turn was the , Barbosa check-called another 225,000, and the completed the board. Barbosa knuckled a third time, Korotki casually flung out six white T100,000 chips, and Barbosa immediately announced a call. "I've got the nuts," Korotki said proudly, showing . Barbosa checked his cards one last time, the pushed them into the muck. Laurence Wolf raised to 115,000 out of the small blind, Abraham Korotki called, and the two took a flop of . Wolf led out for 225,000, and Korotki called. The turn was the , Wolf checked, and Korotki bet 400,000. Wolf quickly folded. The next hand, Wolf raised on the button and only Korotki called. Korotki check-called bets of 225,000 and 375,000 on the flop ( ) and the turn () respectively, and both players checked on the river ( ). Wolf showed , and dragged the pot.